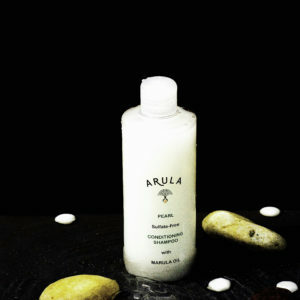 Arula Silk Natural Shower Gel is rich in Marula Oil and Aloe Vera Gel. It will leave your skin feeling soft and silky. 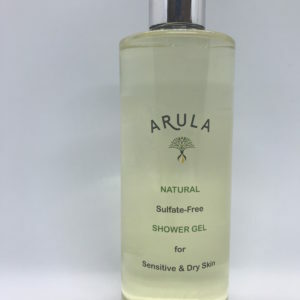 ARULA Silk Natural Shower Gel is formulated with over 98% natural ingredients. There are no toxic ingredients in this product. In addition, it is free from sulphates, Parabens and Silicone. Furthermore, this product contains no synthetic dyes and synthetic preservatives. In addition, it will not cause any burning sensation to your eyes like other high street brands. This product is beneficial for customers who are experiencing dry and sensitive skin conditions, such as eczema. Arula Shower Gel will leave our customers skin feeling soft and delicately fragranced with a mild summer breeze aroma. Furthermore, your skin will feel hydrated and conditioned as a result of the added wheat protein ingredient. PEG-120 (Methyl Glucose Trioleate is a polyethylene glycol) is derived from corn vegetable and is used to thickened the formulation. This ingredient is considered to be a low hazard and as a result, it is a safe ingredient in our product. PEG-120 is normally use in cleansing products for babies, children, the elderly, and those with sensitive skin. It provides luxurious sensory properties through the formation of a rich, creamy lather and a light, emollient after-feel. Most of our customers prefer their shower gel to have a fragrance. Therefore, our shower gel is delicately fragranced with a summer breeze aroma. Hence, the fragrance in our product is considered to be synthetic.